Stretching from north of Los Angeles to south of San Francisco, the California Central Coast offers rugged coastlines, gentle hills and towering mountains, and quaint towns. Separated from the congested metropolises, you'll find California Central Coast vacation homes the ideal choice to have some down time in between scenic drives, shopping, and outdoor recreation. Families with children can enjoy the museums and landmarks along the way, and find the right balance between activity and rest. There are miles and miles of beaches to enjoy in Central California, and several miles to pick from around Santa Barbara. Ride the waves or enjoy a quiet hike, and check out the fabulous eateries in town as well. Then again, you can also eat in at California Central Coast vacation homes for quiet family time. Choose from the warmth and comfort indoors or walk the streets of the scenic town. Beach lovers will also find pleasure in Pismo Beach, where leisurely walks can take you along the shore, on the 1,200 foot long pier, or along the boardwalk. Adventurers can take on the dunes on an ATV, or go surfing or for a horseback ride. If a small town atmosphere is what suits you, then Cayucos is the place to be. Ranchlands among the hills, away from city traffic and crowds, make the landscape peaceful and relaxing in this beach town. Nature lovers, golf players, and arts enthusiasts will feel right at home in the Santa Maria Valley. 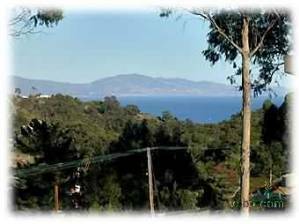 This is wine country as well, so the adults can set out on an adventure of their own when the kids become comfortable with the serenity of California Central Coast vacation homes. Everyone can reunite to reflect on their day, and the beauty of having a vacation home is that you can also wake up in the morning refreshed and set aside some leisure time prior to the day's activities. Scenery and the arts mix at Ojai, where you can swim in the ocean or take a boat or kayak out onto Lake Casitas. The family can also get their fill of hiking and biking, or shopping in the boutiques in the downtown area. Other Central California must see attractions are the Channel Islands, the scenery and culture of Carmel and Monterey, and the array of historic missions along the way. Don't forget to drive at least partway along the coastal highway for unbelievable vistas of the rugged coast. Get in touch with an owner of California Central Coast vacation homes today to find the perfect place to stay, and which accommodates the family vacation budget. California Central Coast vacation homes offer so much more than the typical hotel or motel room. With all of the extras, you may even find a vacation home a more affordable choice. Find options that match exactly what you need and which the family can find comfort, pleasure, and convenience away from the city. Check out nearby Cambria , Carpinteria , Grover Beach , Monterey Bay , Nipomo , Pismo Beach , Santa Barbara , Ventura .